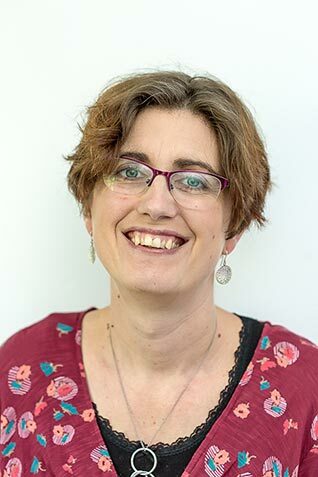 I can’t quite believe how the time has flown, it doesn’t seem but a blink of an eyelid since my youngest started school. Like all children he has his own little ways and is learning how to manage change – not something that any of us naturally find easy. The settlement into a school routine has been a success in large part due to his supportive teacher and assistants. Its that time of year to create teachers gifts. 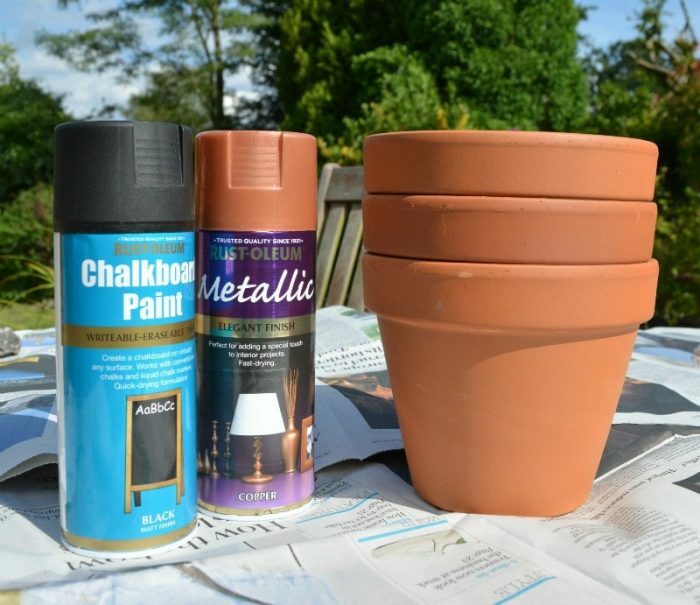 I had a germ of an idea which came into fruition when I won some sparkly copper spray paint from Rustoleum. 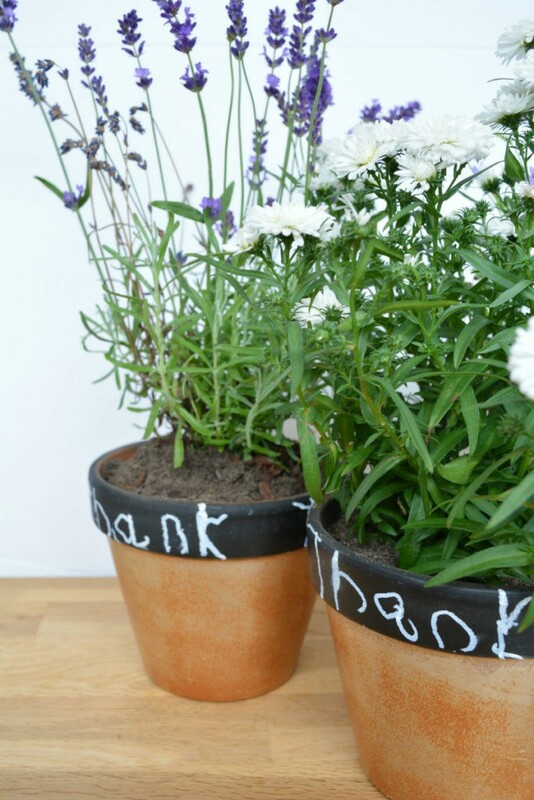 The idea to transform standard terracota pots into sparkly stylish plant pots. Its fabulously quick and gives a great result! 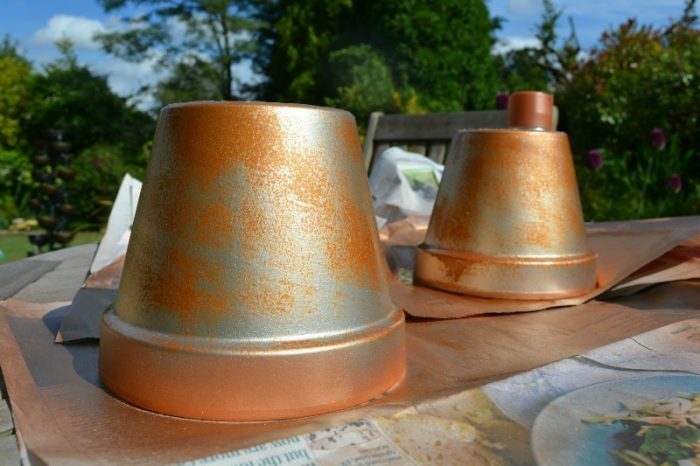 Start by spraying your pots copper – I stopped spraying when I realised just how much I loved the speckled effect. If you desire a fully even coat of copper spray a second time. 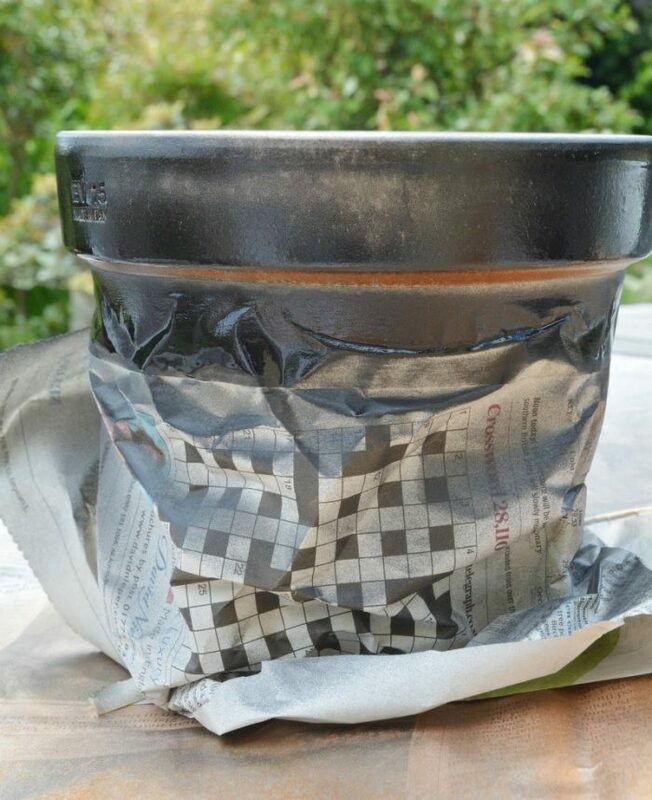 Using your masking tape and newspaper mask off the main section of pot. Spray with blackboard paint. Do two coats to gain a good even coverage. 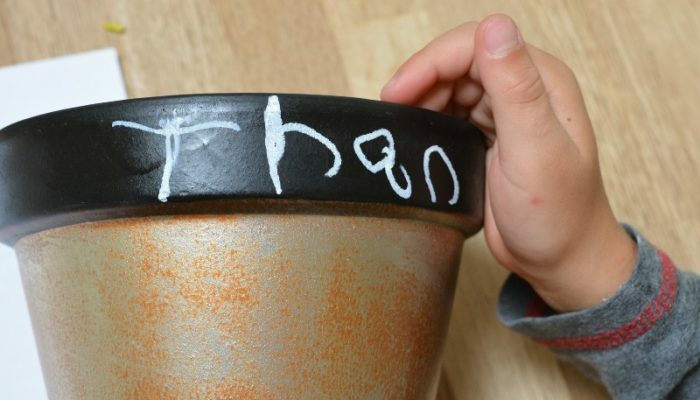 Write the word thank you onto the blackboard paint. The only fault with my idea, it wasn’t my sons idea… although thankfully he seems to have come round to giving them as gifts! "Refashion July with House of Estrela"
What a great idea. I would be delighted to receive one as a gift. I have decided to make each of my Year 6 leavers a little knitted toy. So can’t stop …. only three more knitting evenings. They are perfect, I’m sure the teachers will love them. What a wonderful idea! Our end of school year is mid December but I always forget the teachers gifts. I should get onto it early this time!